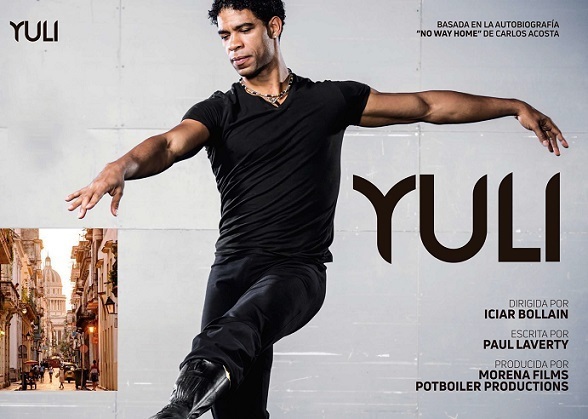 YULI, a film directed by Spanish actor and filmmaker Icíar Bollaín that tells the story of Cuban ballet superstar, Carlos Acosta, received five nominations for the Spanish “Goya” awards – Spain’s national film awards. YULI premiered at the San Sebastian International Film Festival in September and is based on Acosta’s memoir, NO WAY HOME. Watch the official film trailer here.